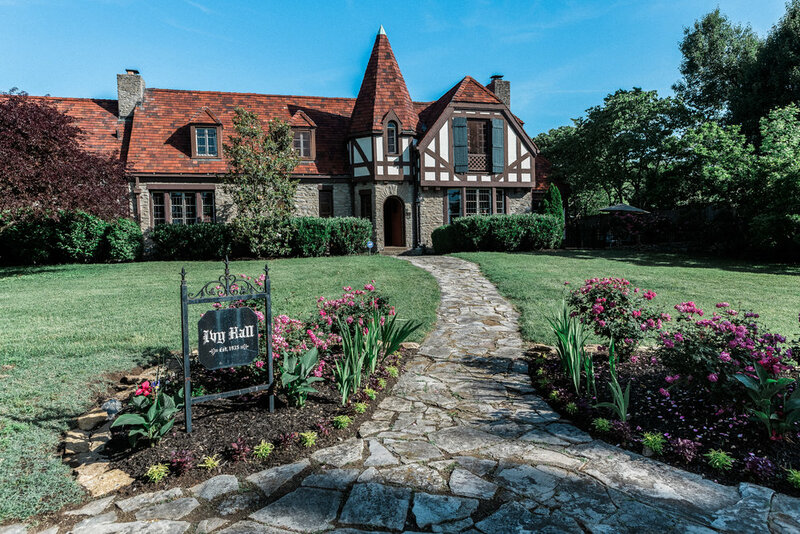 Ivy Hall Studio provides cutting-edge analog and digital recording in a historic environment. The studio furnishes residential stays for recording artists and producers, offers ample recording space nestled within historic Ivy Hall, and is supported by high-end equipment and a large and creative selection of gear. Make yourself at home in Ivy Hall, and enjoy walking only a few steps to begin your day’s work! Enjoy sitting out in the grounds and strolling through the neighborhood. The control room features a 24 channel vintage Neve VR with a large assortment of outboard gear for infinite recording possibilities. Fitted with Burl Converters, a large selection of microphones, and a 12 channel analog cue for musicians, Ivy Hall strives to give clients the best possible recording experience. Studio A is a spacious stone and fabric live room with a vocal booth. Studio B is a wood and plaster live room with a 7-foot Baldwin grand piano hand picked from the production line. Want to come check out the studio for your next project, contact us today!